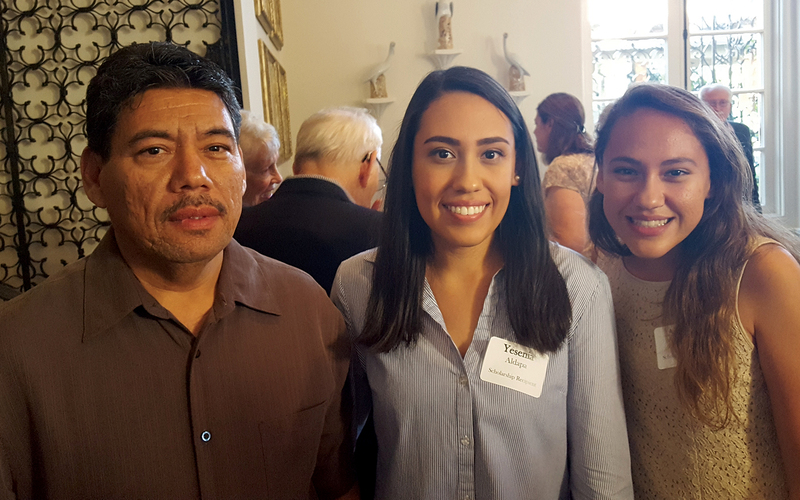 Yesenia Aldapa, center, with sister Adilene and dad Ruden. “I’ve had many sleepless nights and stressful days, but I know my degree will be worth it.” Yesenia Aldapa, recipient of the Casa Dorinda Scholarship, looks forward to next summer, when she will finish her psychology degree at California State University, Northridge. She transferred from Santa Barbara City College, where she earned three associates degrees in just two years. As she enters her final year of studies at university, she’s also helping others achieve their dreams of higher education, working as a University Ambassador for the Student Outreach department. “I feel like this is what I’m meant to be doing,” confessed Yesenia. She is excited to share with future first-generation college students about great programs and opportunities available to help them achieve an education, like the Scholarship Foundation.